Too much advice about finding time to do the stuff you love to do is vague and wistful, but not really very helpful. Here’s something that helps: as long as you let go of the outcome, you can take any dream, ambition, idea, goal or task and break it down into small steps until you get something concrete you can do today. You can – repeatedly – include small steps in your everyday life so you end up doing the things you want and letting go of those you don’t. These books show you how. 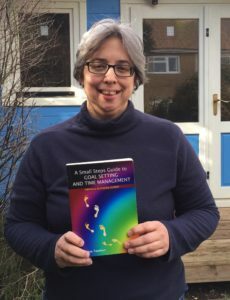 The original small steps guide is The Small Steps Guide to Goal Setting and Time Management. It was published by Emerald in 2012. It tells you how to break down the thing you want to do into small steps. Download the first chapter completely free to get an introduction to the small steps method. 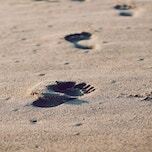 On this page you’ll get an introduction to the other Small Steps Guides. They all follow the same ethos: you can break down a process into small steps until you get to something concrete and specific you can do today. 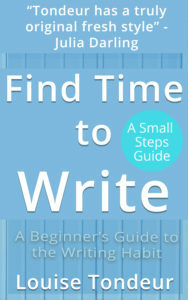 The ebook edition of Find Time to Write is free. It’s for writers who want to establish a writing habit and can’t find the time to do it. 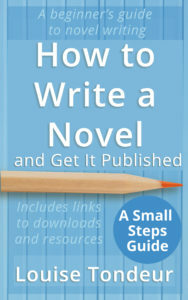 This book applies the small steps method to novel writing in a friendly, approachable way. It starts with the basics and then shows you how to plot and finishes with a whole heap of information and contacts for when you’re ready to send your book out into the world. How to Write a Novel and Get It Published accompanies my Udemy course Find Time to Write Your Novel. How to Think Like a Writer is aimed at Creative Writing undergraduate and postgraduate students and their tutors. (Although if you are a writer who is not on a course, the tools in this book will help you tremendously if you include them in your writing practice, especially if you are just starting out.) 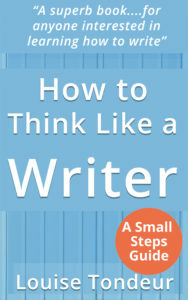 In this book I argue that you are a writer if you make a habit of writing. Full stop. The gets you to think about how YOU write, how YOU create, how YOU think, and gives you lots of practical activities to try out along the way. You’ll learn about the writers’ toolkit – a set of tools you can use again and again in your writing life. 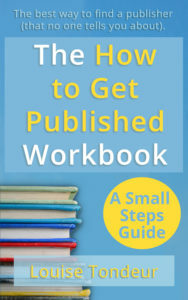 The How to Get Published Workbook is a short book that gives you the tacit knowledge about getting published that most people don’t tell you about. You’ll work through a set of questions to create a set of resources tailor-made for you. Becoming a published writer doesn’t start with someone else out there somewhere, it starts with YOU. This short book shows you how. You’ll discover outlets for your work, and you’ll end up with your very own resource list. When you read the eBook, you’ll need your own notebook. The print version is a notebook. 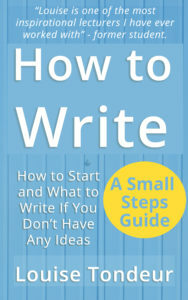 How to Write: How to Start, and What to Write If you Don’t Have Any Ideas is a book for beginners. It’s made up of a series of writing prompts that will form an introduction to Creative Writing if you work through them from beginning to end. It will also give you lots of ideas for teaching Creative Writing if that’s what you need. You can check out all of my books on my Amazon author page or on my author website.